Objectives This study assessed the prevalence, incidence, and persistence of nontraumatic rotator cuff tendinitis and shoulder symptoms over a 1-year period in a working population and the predictive value of symptoms and physical findings.  Methods A 1-year prospective study of 436 active workers was conducted at 12 different worksites. Detailed health interviews, psychosocial questionnaires, and physical examinations were conducted at baseline and again after 1 year, with shorter evaluations at 4 and 8 months. Individual observed exposure assessment of shoulder posture, arm–hand activity, and hand forces was conducted. Results The prevalence of rotator cuff tendinitis at baseline was 7.6% [95% confidence interval (95% CI 5.1–10.1%)] for the right and 4.8% (95% CI 3.0–7.0%) for the left, compared with shoulder symptoms of 18.6% (95% CI 14.9–22.3%) (right) and 11.2% (95% CI 8.2–14.2%) (left). The incidence of rotator cuff tendinitis was 5.5% (95% CI 2.8–6.8%) and 2.9% (95% CI 1.0–3.8%), respectively. Higher proportions of participants with current symptoms or physical findings at baseline became clinical cases after 1 year than those without symptoms or findings. The 1-year persistence of clinical case status was 31.3% (95% CI 26.9–35.7%) (right) and 31.6% (95% CI 27.2–36.0%) (left). There were significant differences at baseline between the asymptomatic participants and the clinical cases with respect to physical health on the 12-item Short-form Health Survey (P=0.0002), the perception of general health (P=0.0027), and the frequency of high hand force exposure (P=0.0177). Conclusions Considerable movement occurs between different stages of shoulder problems. Symptoms and physical findings alone appear to predict clinical case status within 1 year. Frequent follow-up is necessary to capture changes in health and exposure status in prospective studies.